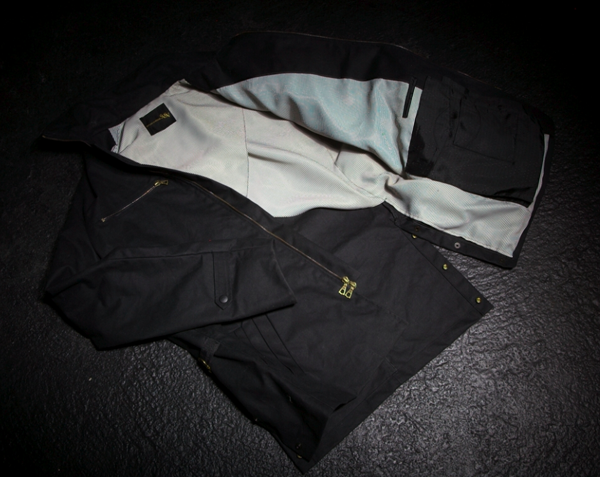 Heavyweight Oil Cloth Motorcycle Jacket with pure silk swing back lining. Ultra Suede Under collar and vicuna lined pockets. 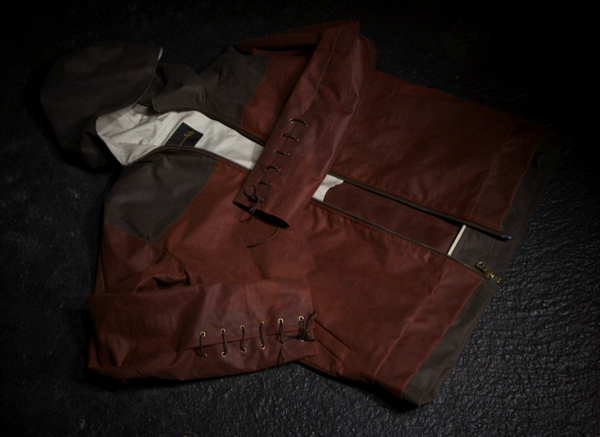 Lower left breast has a 6 pocket storage system and a full length ticket pocket. Pure triple weight Mongolian Cashmere. 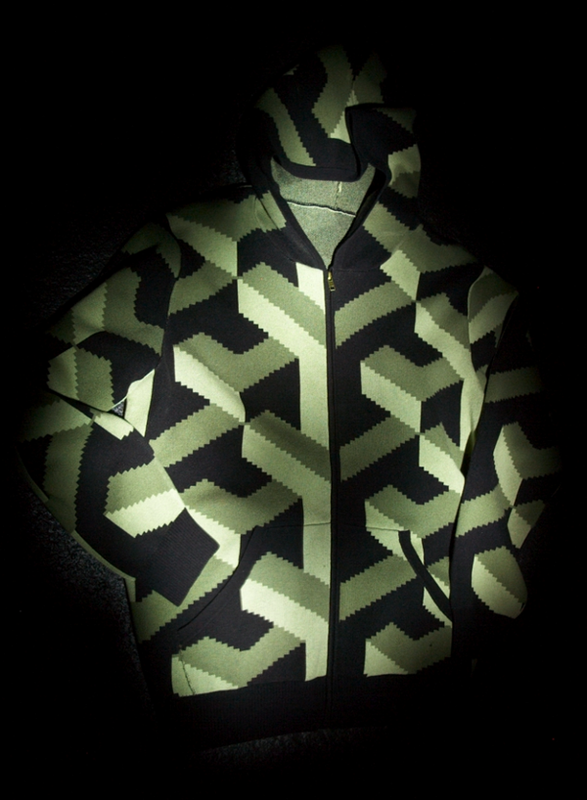 Custom Triad pattern, available in Blue, Green, Grey and Purple. Pure Qiviut Sweater with natural Qiviut bone buttons and leather shoulders and sleeves. Qiviut is a natural material (musk ox) harvested from far north Inuit tribes. If you do not know where the material in your favorite fashion comes from… it is a sign that you need to do more research, then demand the best quality from your favorite brands. Two Tone British Millerain Oil Cloth with Irish Linen half liner. 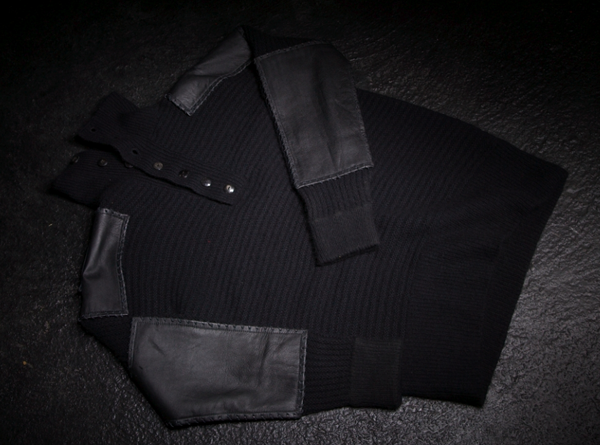 Back has oversized box pleat for extended movement and the cuffs come with either bone buttons or leather ties. Each jacket is designed, cut and finished, proudly in New York. 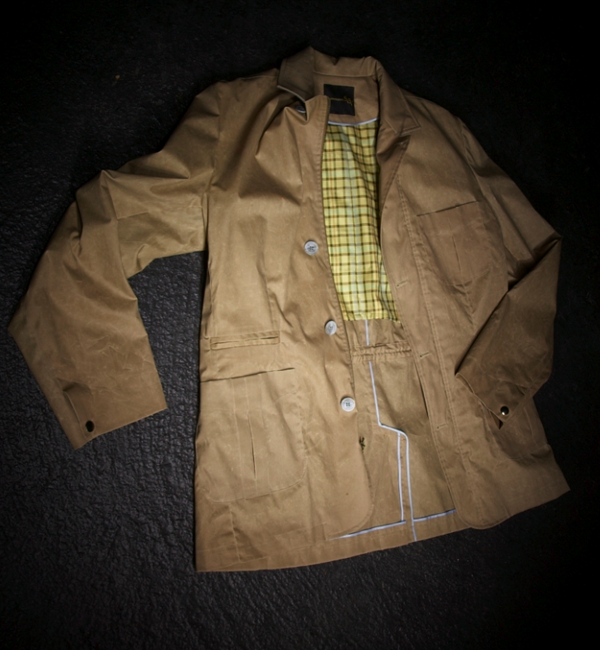 Waxed Cotton Safari Travel Jacket. Polished Bone Buttons. Silk finished seams. Pure Silk half liner and natural linen sleeve lining. SVSV believes in no season – no calendar of fashion, only properly crafted garments made specifically for our customers needs. All garments and objects are designed and produced, proudly in New York City.